Himachal News..Dharamsala News, Kullu, Manali, Ladakh,Dalai Lama,Golden Temple,Mother Teresa, Mahatma Gandhi, Guru Nanak Devji,Taj Mahal,News India ! Himachal News:" Meeting Change Together ", Archive 02,2010, Online Dharamsala..Click the Graphic above..!! Himachal News : " Help Haiti..Be part of a Healing Universe ", Archive 01,2010, Online Dharamsala..Click Here !! 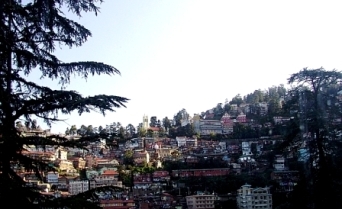 Shimla News : Follow the Pine Scent ! , Dharamsala News Archives 2009...Click Here ! Dharamsala News:India Healing...Click the Graphic below !, 07 Aug 2010. Dharamsala News:"Cultural Bonds of India", Mumbai !, 2010. Dharamsala India News :"TATVA II..Element of Water", North India 2010!, 05 Aug, 2010. 'Water', translates into tranquility, purity and healing energy of good 'humanity'. It flows with gentle 'compassion' and in its kind caring lies the golden harvest of mankind. The beginning of any any life journey must start with the kind blessing of the divine. In Mumbai the city of dreams and also the commercial heart of India, the auspicious gift of Lord 'Ganesha', is a constant reminder of the 'Golden Paradise' of a rotating economy. The snake boat races of Kerala in South India are magnificent fiestas, that brings alive the tranquil backwaters. 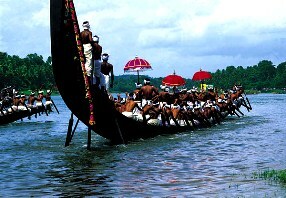 Snake boat races are held in connection with Onam Festival, the harvest festival in August/September. Scores of long snake boats and other smaller crafts participate in these events. The largest team water sport in the world, the snake boat races are preceded by colourful water parades. For an auspicious vacation in India..TATVA Holiday Series..Click the Graphic below ! Himachal News:"Cultural Bonds of India", Tamilnadu !, 2010. Himachal Dharamsala News :"TATVA II..Element of Earth", North India 2010!, 30 July, 2010. 'Earth' celebrates the auspicious seed of eternal fertility for mankind. In its gentle nourishment lies the future of the Universe. It brings Green Prosperity, Peace, Harmony and the bliss of 'Family' ! The sacred ancient Meenakshi Temple of Madurai in the Southern state of Tamilnadu vibrates with the holy union of Lord Shiva and Parvati. The cultural heritage of the state manifests the 'joys of the harvest season' and blooming 'womanhood' with the famous 'Kummi' dance form mostly performed during the 'Pongol' Spring Festival. 100 Kms from Madurai is the natural habitat of Srivilliputhur Grizzled Squirrel Wildlife Sanctuary. Here you can explore the Medicinal Plant Conservation Area (MPCA) located at Thaniparai along with the exciting green flora and fauna of the South plantations. Nourishing Flavours of Mother Earth ! TATVA Holiday Series..Click the Graphic below..! Himachal News:"Cultural Bonds of India"!, Karnataka, 2010. Himachal Dharamsala News :"TATVA II..Element of Fire", North India 2010!, 30 July, 2010. The soaring flames of the Element of 'Fire', define the indomitable spirit of Man which cannot be extinguished. Surging Passion nourishes the power of innovation, dance, sanctity and purification of the environment. The South Indian state of Karnataka is the home of one of the most popular classical dance forms of the country, 'Bharatnatyam'. 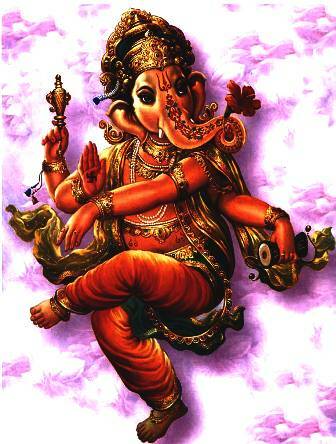 The dance form is considered the Universal blessings of Lord 'Shiva' - Nataraj. 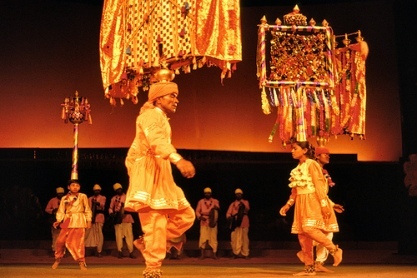 The cultural fountainhead of Karnataka boasts of many rare Opera dance forms. 'Puja Kunitha' is a ritualistic dance of Karnataka, wherein wooden idols of the local deities are carried on their heads by the dancers. 'Bhootha Aradhane', a coastal dance form characterized by devil worship. 'Nagamandala' dance prevalent in South Karnataka, is performed to tranquilize the serpent spirit. 'Alayi Hejje', is a semi religious dance of the Muslim community of Karnataka. The presentation in Alayi Hejje, consists of performers dancing around a fire pit where, sometimes both the Hindus and Muslims participate together on 'Muharram'. The magnificent ruins of 'Hampi' takes you to the Empire of Vijayagagar. Hampi was the capital of Kishkindha- the monkey kingdom of Ramayana fame. The city serves as a background of the Kishkindha, Kanda episode of Valmiki Ramayana. Known to be the birth place of Lord Hanuman, Hampi is the place where he met Lord Rama. The historical battle between monkey king Bali and his brother Sugriva was also fought here. Himachal News:"Joys of a Shared Universe..Vidya Niwas"!, 2010. Himachal Dharamsala News :"Shared Moments", North India 2010!, 25 July, 2010. There are many 'love stories' all around us..as we grow older we learn to listen better, not so much with the ear, as we do with our heart. We have been lucky, sharing the joys of a shared Universe with our guests and friends on many special occasions of celebration in Dharamsala.. Some special lines written by a Tibetan student of class VII 'A' on His Holiness the Dalai Lama's 75th birthday..touched many of us here !
" 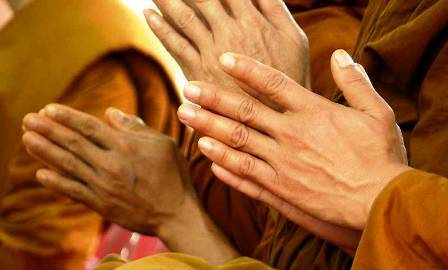 Faith in a Living Buddha "
" When I came to know how to use chopsticks, to eat food out of a bowl, my parents taught me to pray, before having any meal to a 'living buddha', for His blessings. As I grew bigger, I questioned them on the living buddha. They explained me in an easy way that the 'living buddha' is an embodiment of Cherizig. The purpose why he was born as a human being, is to look after the sentient beings. I was warned not to do anything harmful towards others including small helpless creatures, to avoid a severe retribution. Since then appreciating a beautiful Universe has become the rule of the day in my daily life. "..Sangye La. Without the right bargain ! Click the graphic above for modern day Love Stories, Vidya Niwas !! Himachal News:"Spiritual Tripura, North East India"!, 2010. Himachal Dharamsala News :"Kharchi Puja", 2010 ! ", North India 2010!, 22 July, 2010. 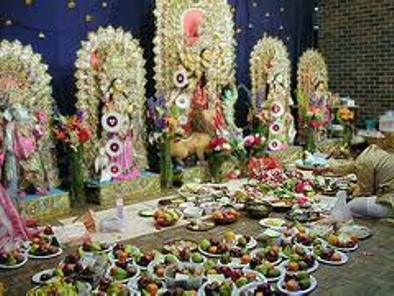 'Kharchi Puja' is celebrated in worship of Mother Earth, who sustains life, in the month of July in old Agartala region of Tripura. Both tribals and non-tribals participate in this grand fiesta with equal alacrity and fervor. The celebrations are spread over a period of seven days and are centered on 14 Gods temple premises. Himachal News:"Science of Spirituality"!, 2010. Himachal Dharamsala News :"Spiritual Insight Himalayas", 2010 ! ", North India 2010!, 19 July, 2010. The CM of Himachal, Prof. PK Dhumal has emphasized the role of 'spirituality', as a need of the day in today's life-style.
" A man should shun his ego and make an honest effort in understanding his contribution to society and environment. " 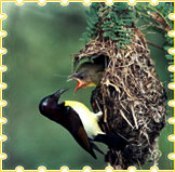 We all must initiate a process of a healthy, clean environment and show a greater tolerance towards all 'living creatures' around us ! Enjoy Spiritual Sharing at Vidya Niwas in Dharamsala..Click the Graphic Below ! Himachal News:"Finding the right balance in the Center"!, 2010. 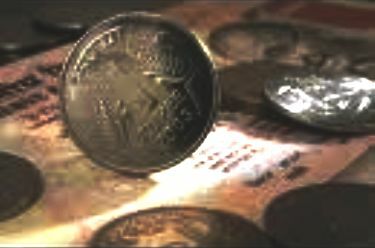 Himachal Dharamsala News :"Week End High..Money Talks, 2010 ! ", North India 2010!, 18 July, 2010. Some things never change..like old trade associates humoring us with their talks and queries and doing BIZ somewhere else ! Change is relevant to Time only when it ushers in a season of prosperity for all. We are hopeful that the new symbol of the Indian Rupee, will signify a more fair distribution of wealth and power in the country. This innovation should flow in better opportunities of growth for everyone, deserving as per merit. ...* Week end Highs..should be crisp and short like hard currency notes.. almost like an unfinished romance, peaking on expectation and with many stories to tell, when it is over ! Himachal News:"FIFA Joy, Spain!, 2010. Himachal Dharamsala News :" World FIFA Champs, 2010 ! ", North India 2010!, 13 July, 2010. The Spanish 'Flamenco', reached a new crescendo in South Africa by picking up the FIFA World Cup, 2010 for the first time in the history of Spanish football. While Netherlands and Germany at number two and three, displayed excellent skills and competitive spirit, we wish all the world teams more success in the future. Himachal News:"Inner Peace is the first step to World Peace ! ", HH Dalai Lama 2010. Himachal Dharamsala News :" HHDL Birthday Wish, 2010 ! ", North India 2010!, 06 July, 2010. On His 75th Birthday, we wish His Holiness the Dalai Lama a joyful and healthy journey ahead. We pray along with His happiness, a united Universe in promoting Peace and Harmony for the Young. They are the future of the World and our immortality lies in the teachings and the Universe we give to them ! 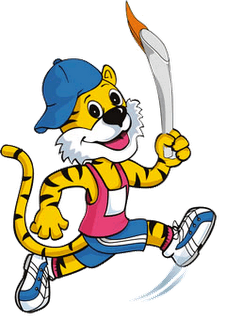 Himachal News:"CWG Games Baton, 2010"!. 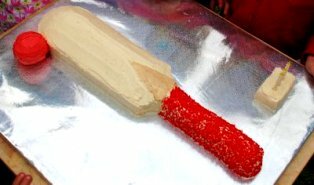 Himachal Dharamsala News :" The Commonwealth Queen's Baton, 2010 ! ", North India 2010!, 05 July, 2010. The Queen's Baton for the Commonwealth Games 2010 in India has reached Himachal Pradesh. The Himalayan people welcome the Baton and wish the Commonwealth Games 2010 in New Delhi a grand success ahead. This Baton will travel alll the major cities in this Himalayan state. May it bring in Joy, Harmony and Love to all !! Himachal Dharamsala News :" Vajra..Purifying the Air, 2010 ! ", North India 2010!, 26 June, 2010. The Element of Air, nourishes the Art of Communication, mental telepathy and purity of Mind and Thought. 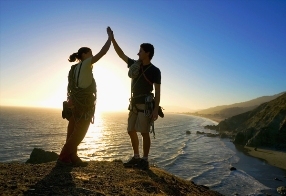 The power of Enlightenment in achieving personal contentment along with spiritual wisdom. 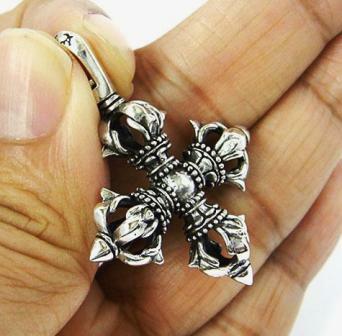 The Tibetan 'Vajra' symbolises the immovable, indestructible power of an enlightened mind, which can dream the impossible ! In TATVA II, our Spiritually Energizing Holidays explore the energizing power of the Element of Air in the Sacred Vajra of the Himalayas in Ladakh, India. Himachal News:"The Goan Sao Joao Festival 2010"!. Himachal Dharamsala News :" Goa Fest, 2010 ! ", North India 2010!, 22 June, 2010. The Sao Joao festival is most pompously celebrated in Goa amongst the Catholic community and is dedicated to St. John the Baptist which is celebrated on 24th June every year. 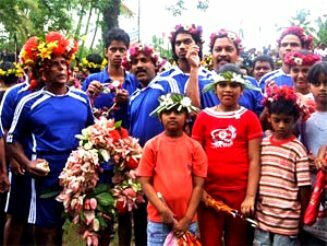 This occasion marks the coming of the rains and celebration by the local youth in the Villages of Goa who normally get drunk and jump into wells according to the existing tradition of Sao Joao festival. They consume plenty of fruits on this occasion and are virtually unstoppable when they indulge in revelry. Specially in Salcete taluka, different types of folk dances or 'Mandos' are held which are popularly known as Sangodds. Fruits and other eatables are exchanged between friends and relatives. It is an existing tradition wherein anyone who owns a well and has a girl who is newly married exchanges pleasantries and food items to their in-laws as is the custom in every Goan village. It is a real treat to watch the local youth with crowns of leaves and varied fruits on their heads going out in processions carrying Goan liquor along with them and jumping into wells to have fun. 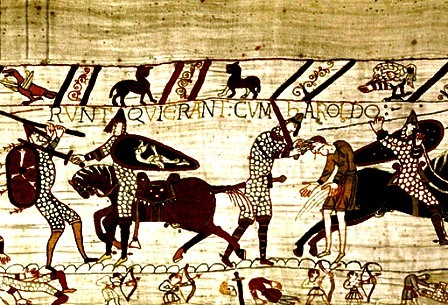 Later, they enjoy a lavish feast of meat and seafood marking the end of the festival. The rainy season is a perfect foil for the Sao Joao festival as most of the people enjoy it more when its raining heavily. Himachal News:"The Written Word 2010"!. Himachal Dharamsala News :" Commitment, 2010 ! ", North India 2010!, 21 June, 2010. The heart will read its own heartbeat without a word being spoken..however it is different in the biz world ! Recent happenings brought to my mind lessons which I had learnt from my seniors in the trade. Of late we are forced to admit the value of the written word..many a time we get calls for queries,reservation and confirmation of our travel services..so much so even our bank details for transfer of payment. Verbal futile promises even after performas have been raised. 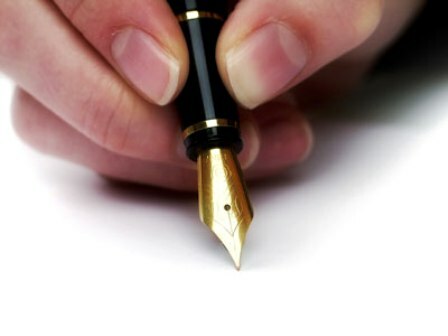 However with stoic faith we refuse to process our services without getting a written commitment from our clients. It goes without saying that.." What is the end result, is only the power of the pen for commitment to business in todays world ! " To all those young aspiring corporate minds..a word of caution.."Always take a written commitment for your deals to come thru. In the end like the words goes ,'Seal the deal in Ink before the Cat is out of the Bag'! Himachal News:"Celebrating Hemis in Ladakh 2010"!. 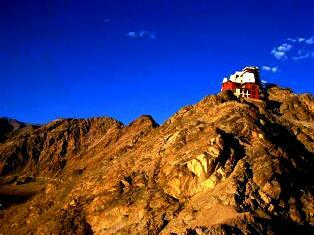 Himachal Dharamsala News :" Hemis Ladakh Buzz, 2010 ! ", North India 2010!, 17 June, 2010. The Hemis Festival is held every year in the Hemis Monastery, the biggest Buddhist monastery in Leh the capital town of Ladakh. It is celebrated on the tenth day of lunar month in the Tibetan calendar in month June/July. The festival is celebrated in the commemoration of the birth anniversary of Guru Padmasambhava. 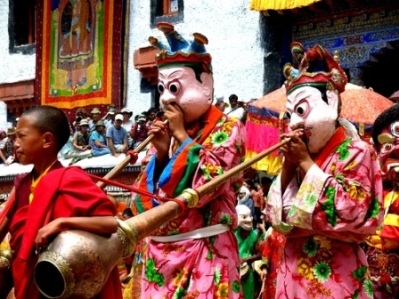 During the festival, the Lamas gather around the central flagpole in the courtyard of the monastery and perform mask dances and sacred plays.The festival signifies 'Victory' over 'Evil'. However, what takes the cake is the display of the two-story high ' Thangka' of the monastery. The Thangka is beautifully embroidered with pearls and semi-precious stones, and depicts Guru Padmasambhava. It is put on display only once in twelve years and one has to wait for a long time to have a glimpse of the Thangka. 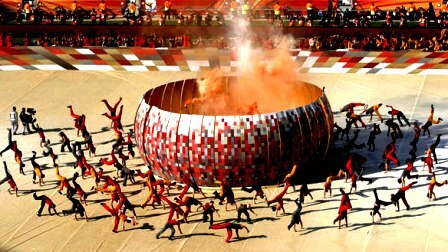 Himachal News:"Celebrating the Globe at FIFA World Cup, South Africa 2010"!. Himachal Dharamsala News :" Football Buzz, 2010 ! ", North India 2010!, 12 June, 2010. The FIFA World Cup started with a bang in South Africa with all the vibrant colors and joys of the Globe. We wish all the teams and sports fans an exciting experience of African hospitality and spirit ! 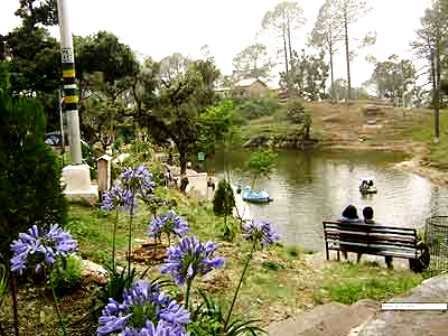 Himachal News:"Slice of Heaven in the Hills",Uttarakhand 2010"!. Himachal Dharamsala News :" Lansdowne Hills, 2010 ! ", North India 2010!, 08 June, 2010. Lansdowne happened to me, while I was studying in Dehradun. During our vacation, we would spend many exclusive outdoor picnics with the pine woods, the chirping birds, buzzing bees and the solitude of the lake. Our home itself was right from the story book, with waxed wooden floors bringing alive the victorian romance of Georgette Heyer and Barbara Cartland. Situated at a height of 1700 meters in Uttarakhand this hill station was named after Lord Lansdowne, the Viceroy of India in 1888. The quiet surrounds of pine and conifer, ancient church and small streams and lakes, add to the quaint charm of this weekend getaway. Himachal News:"Rafael Nadal..Clay King", 2010"!. Himachal Dharamsala News :" French Open, 2010 ! ", North India 2010!, 07 June, 2010. Rafael Nadal re-claimed his French Open crown in emphatic style on Sunday when he battered Sweden's Robin Soderling 6-4, 6-2, 6-4 to win the title for the fifth time in six years. The 24-year-old Spaniard weathered some fierce early hitting by the powerful Soderling before taking command on Court Philippe Chatrier and surging to victory in two hours 18 minutes. In the Women's single, it was Italy’s Francesca Schiavone who stole the thunder and left very little for the Australian star, Samantha Stosur. Congratulations to both the King and Queen of Clay Tennis, 2010 ! Himachal Dharamsala News :" Himachal Fairs ! ", North India 2010!, 05 June, 2010. The Harvest Festival starts the Minjar Fair at the green valley of Chamba. The fair starts from 25th July till 01st August, 2010. The shepherds celebrate this occasion by offering 'minjar' (maize) and a coin to the holy Ravi river. There is music, dance and feasting in the valley, to celebrate this ancient tradition ! Himachal News:"Books for Answers", 2010"!. 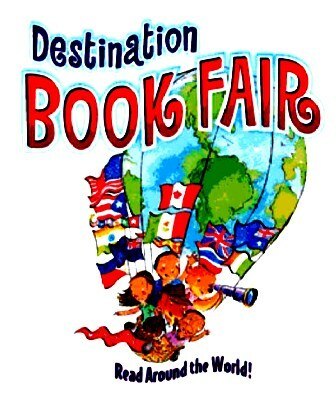 Himachal Dharamsala News :" Fairs..Reading Habits ! ", North India 2010!, 02 June, 2010. A three day book fair in Dharamsala is going on. Interesting search for book lovers around the world...Happy Hunting ! Himachal News:"A Prayer for an Awakened Spirituality", 2010"!. Himachal Dharamsala News :" Prayers ! 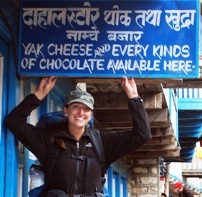 ", North India 2010!, 31 May, 2010. With profound grief we offer our solace to all affected families of the recent train accident in West Midnapore district of West Bengal. 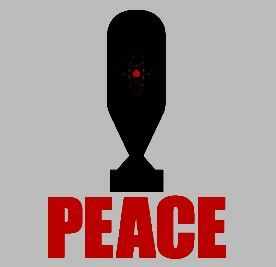 Solutions which deal with all those who are as much ours, as those who have been harmed, require the collective responsibility of a Nation and effective governance. We pray for an awakened spirituality among us all, which can prevent irrelevant valuable loss of life ! Himachal Dharamsala News :" Shimla Hills, North India 2010!, 28 May, 2010. A three day Indian Panorama Film Festival is being held in Shimla, Himachal Pradesh from 28-31st May, 2010, for all cinema lovers. The CM of Himachal, Prof. PK Dhumal will be inaugurating this event. Himachal Dharamsala News :" Nagaland North East India 2010!, 25 May, 2010. 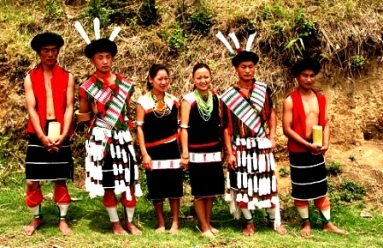 'Maotsu Festival' is celebrated by the Ao tribes of Nagaland in the North East India Himalayas. The Moatsu Festival is a time of great rejoicing as the planting season comes to an end in the first week of May. 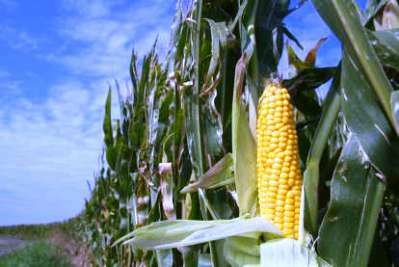 All activities are associated with the new harvest. You can expect a lot of singing, dancing, and merry making at this festival. The highlight of the occasion is 'Sangpangtu'. Men and women dress up in their best attire and sit around a fire, eating meat and wine. 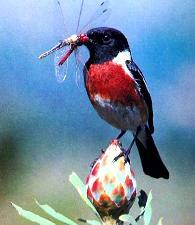 It is celebrated in the Mokokchung district villages , particularly in Chuchuyimlang village. 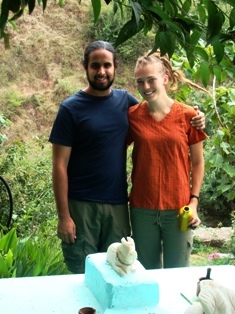 Himachal Dharamsala News :" Jordan Romero..Young Everester 2010!, 22 May, 2010. Thirteen-year-old U.S. boy Jordan Romero today became the youngest person ever to reach the summit of Mount Everest, the highest peak in the world. We wish him and other young hearts, greater heights of achievement in their ventures for a better tomorrow! Himachal News:"Landscape of the Past"!. Himachal Dharamsala News :" Exploring the past History n Memory, Shimla 2010!, 19 May, 2010. A three day International Conference on History and Memory, is in progress in Himachal Pradesh. The conference explores the landscape of the past and its impact on human civilization. Himachal News:"Touching the High Mountain!'. Himachal Dharamsala News :" Spiritually Energizing Holidays"..To catch a Drifting Cloud 2010!, 18 May, 2010. ..Playing Hide n Seek with the drifting clouds of the Everest Base camp can be an experience of a lifetime. 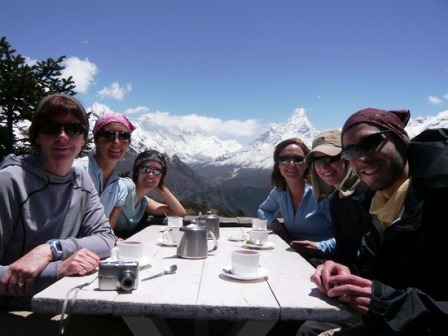 For a 'signature holiday', visit the majestic heights of Hotel Everest View (HEV) situated at 3,880m. height in the Sagarmatha National Park. It is the highest located hotel in the world and commands a spectacular view of Mt. 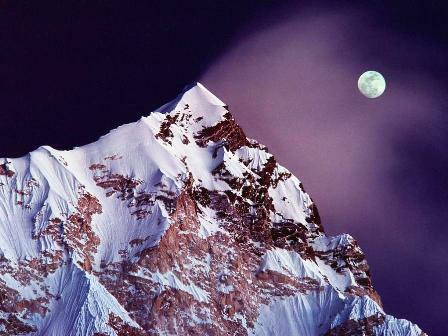 Everest (8,848 m.). Each room in HEV gives a panoramic peak at Everest, including the awesome Amadablam (6,856 m.), cosidered the most beautiful peak in Nepal. ..While working at Yeti Travels P Ltd, Nepal years ago, I was fortunate enough to attend the inauguration of this magnificent Hotel with a few VIPs. The flight from Kathmandu to the hotel's airstrip at Shyangboche( 3810m) took 50 minutes. During this early morning flight the entire panorama of the great snow-clad Himalaya unfolds as the flight climbs out of Kathmandu valley. It is about 1-mile walk and a gain of 300 feet elevation. Clients preferring to go to hotel directly can request for charter helicopter flights. Planned sightseeing would be a mistake. The ever-changing lighting and cloud formations on the mountains can keep you enraptured for hours. The exciting trip to the ancient Namche Bazaar of the Sherpas, can be a novelist's delight sitting around the hotel's fireplace with Himalayan Tales and the mist drawing in to your window...early morning there can be nothing more spectacular than having tea with a mountain peak, as your companion ! The flying birds circling the clouds look big, making the blue skies touchable to your soul. All incredible, it is a moment to hold forever !!..
" Spiritually Energizing Holidays" 2010! In whose vision lie the Dreams of all Mankind !" Himachal Dharamsala News :" Music in the Skies" 2010!, 15 May, 2010. Travel is a global word.. Far more than the miles we travel..it is the soul, which in its quest for paradise must, seek God within itself ! A few years ago we were inspired by our guests seeking answers about the Himalayas and its spirituality. When they left they took back with them a life-style from the wisdom of the mountain. From our desire to give to the World..A Life Changing Experience, we discovered in the vision of the mountain the ability to dream. 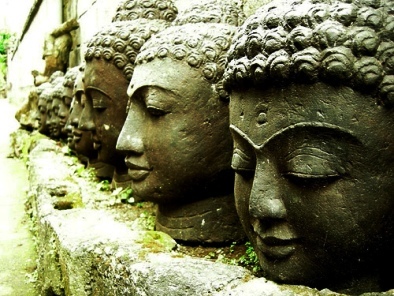 In its deep slumber is the endeavour of mankind, in its stoic faith is the eternity of 'good karma'! The Himalayas today, are a symbol of Ancient Wisdom, Divinity and Pilgrimage. 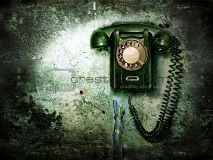 It is the fountainhead of a Green Earth and in its healing, lie the Harvests of a Green Tomorrow ! ..Enjoy our Journey of the Mountain.."Music in the Skies",..A Health and Healing Program from the Himalayas, 2010..(Music Credit : 'Sky Kisses Earth'..Prem Joshua! 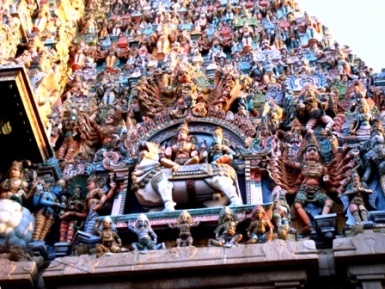 India Tour..For more on our Spiritually Energizing Holidays..Click Here ! Himachal News: 'The Sleeping Vishnu',Budhanilkantha, Nepal ! ', Dharamsala Online. Himachal Dharamsala News :" Spiritually Energizing Holidays" 2010!, 10 May, 2010. The Budhanilkantha Temple of 'Lord Vishnu', is situated 9 km north of Kathmandu in Bansbari. In a small pond at the foot of the Shivapuri Hills lies the half-submerged massive black stone statue of the reclining Vishnu resting on a bed of snakes. Worshippers strew the sleeping Vishnu with offerings of flowers & rice. It is a monumental sculpture from the Lichhavi Period. 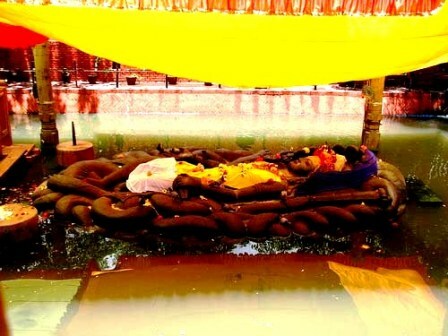 The sleeping Vishnu image, which lies in a small sunken pond enclosure, attracts a constant stream of pilgrims, and prayers take place at 9am every morning. Lord Vishnu is supposed to sleep through the four monsoon months, waking at the end of the monsoon. A holy festival takes place at Buddhanilkantha each November, on the day Vishnu is supposed to awaken from his long annual slumber. Himachal News: 'Above all A Holiday Must Service the Heart ! ', Dharamsala. Himachal Dharamsala News :" Spiritually Energizing Holidays 2010!, 06 May, 2010. 'Innovation' in Holiday Planning is an absolute must for, International Tourism globally. The hospitality sector is an open invitation for rotating global economy and promoting healthy 'green' lifestyles. As time moves fast the growing needs of the International Travellers are changing ranging from soul searching individual 'Spirituality' to a quiet 'Fun in the Woods' with family n soul mates. In our 'Spiritually Energizing Holidays' every vacation we have designed, has been a learning holiday for us. We have enjoyed weaving a blissful experience for our guests and dear ones. There is so much the Mind can discover in itself..so much the Body must need to rejuvenate..so much the Spirit in its healing can conquer..but, above all A Holiday Must Service the Heart !! Himachal News: 'My Soul Moments..A Diary !..Sangeeta, Dharamsala. Himachal Dharamsala News :" My mystic hours!, 01 May, 2010. India,..can be touching in its soul moments! Spirituality can caress us with unseen fingers and leave its memory, in the poignant corner of your heart. 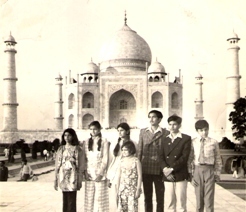 My childhood was full of travel all over India..we never travelled alone. There was family and friends to share this journey. 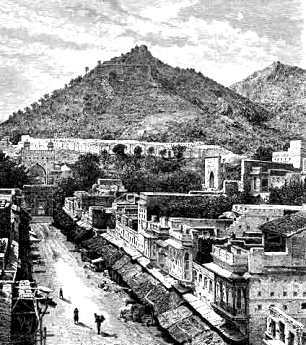 Rajasthan was fascinating as a chlid to me. I recollect one of my visits to Ajmer Sharif (Durgah Sahib), which was a constant favourite with us for many reasons. 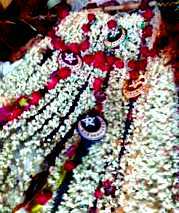 We loved the amulet charms we could buy..fragnance of the scattered red rose petals, but most of all, the eye catching and beautifully embroidered 'Chadars', which were offered at the holy shrine. This whole occasion of offering was highlighted by a competitive spirit between us. We each wanted our 'chadar'..to be the best ! Unfortunately for me, my friends hailing from a traditional muslim family had outdone all of us in the exquisite 'gota'(golden woven thread) and pearls applique, which decorated their 'chadar'. The holy priest seeing my disappointed face took me aside. He told me, the Lord would bestow me with as many blessings as the others since, He would only see that I had woven my heart, in that offering to my best ability. Many years later, even today those words of the priest will always stay in my mind. When we have taken all the choices we have, to the best of our ability, we should to leave it to the Almighty to make His choice. He will always show us the Path of our Karma in Life !! Himachal News:'Inner Peace, is the first step towards World Peace'!..HH Dalai Lama, Dharamsala. Himachal Dharamsala News :" Meeting change together!, 24 April, 2010. 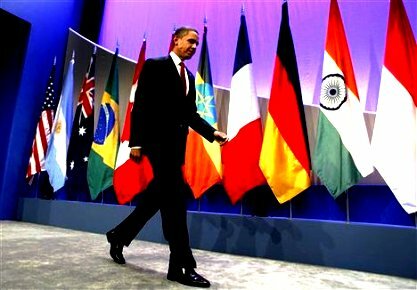 On 12th April, 2010 at the historic moment of meeting 'change together', Global Leaders of 47 Nations met under one roof at Washington DC (USA). The Nuclear Summit presided over by US President Mr Barack Obama, discussed Global security. We wish all World Leaders, success in the upcoming challenges lying ahead 'for a better world'. 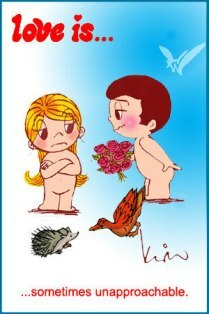 Wishing Together...Click the Graphic Below..!